Health care delivery models are regularly affected and changed as a result of industry trends, economic pressures and legislative mandates. As a result, it is difficult for consumers to stay informed of current options to make the best decisions for their health care. 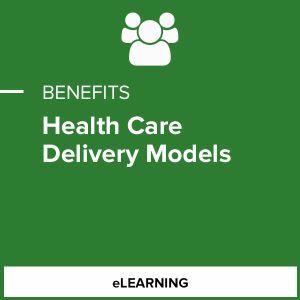 This course will review the evolution of health care plan types, demonstrating how the different plans utilize various models for delivering care to consumers. How to advise a consumer on choosing between different plans with varying delivery models.